The 1920s saw two men battling for supremacy of the biblical epic, Cecil B. DeMille and the Hungarian Mihaly Kertesz. DeMille went on to make The Sign of the Cross (1934), Samson and Delilah (1949) and The Ten Commandments (1956) to cement his name as the one that will forever be associated with the genre. Yet whilst Kertesz, who went on to change his name to Michael Curtiz, may ultimately have lost the battle, he's generally acknowledged to have won the war. Once in Hollywood, Curtiz made a string of the greatest films ever made including The Adventures of Robin Hood (1938) Mildred Pierce (1946) and, of course, the immortal Casablanca (1942). He got to more than keep his hand in with the historical films as well, most notably his work with Errol Flynn, indeed David Thomson claims that "the Errol Flynn picture was really more Curtiz's invention than the actor's" (Thomson 196). Of course the move to Hollywood and to Warner's had a major impact on his career - it seems unlikely that his staying with them for around 25 years cannot be solely down to gratitude for them providing him an escape route from the growing Nazi threat. Nevertheless, I can't help but wonder if what really propelled him to greatness was someone sitting him down and telling him to stop making films set several time periods in parallel. 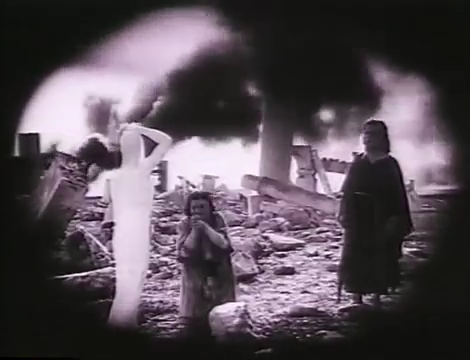 In addition to his early films Boccacio (1919) and Cherchez la femme (1921), three of the four biblical films in which Curtiz was involved, use this differing time periods motif (here, Noah's Ark (1929) and Korda's 1922 Samson und Delila in which the exact extent of Curtiz's involvement is unclear), only Die Sklavenkönigin (The Moon of Israel, 1924) was solely set in the biblical era. What's strange about these three films is that even though the biblical content is only around 50% of the total running time, all three films are named after the biblical characters, perhaps because the lives of the modern characters reflect those of their predecessors. Bizarrely, though, at the heart of this structure is neither the modern story nor the biblical story the film is named after, but the Syrian story. Interestingly this chiastic structure is also emphasised by the film's frequent use of an iris shot. Often these shots are static iris shots, which hold for their duration, rather than an "iris in" or an "iris out". The use of the iris is also a nod to the dream element of the film. In the "real" part of the story the iris acts as a predictor/reminder of the up coming dream sequence. In the dream section of the film it is one of the techniques the filmmakers use to both clarify and remind that this sequence is a dream not a (past) reality. Of course the film's concentric circles can also extend out one layer further. The darkest area around the iris above is, of course, our real world, now in a fourth time period, but it is this that is true reality, not the film's base layer of reality. And there seems to be an intention, on the surface at least, that this is the kind of film that wants to speak to the viewer at home, too. Throughout the film we have been encouraged to identify with the film's anti-heroine, through a series of visual techniques such as point of view shots and the fact that ultimately we enter her dreams, and when she reconsiders her behaviour in the light of what she has experiences, the film seems to want its audience to do likewise. 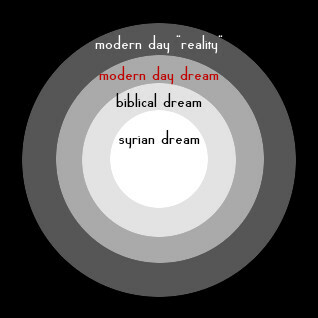 I didn't really mean to spend as long on that as I have done...and I didn't even get to mention Christopher Nolan's Inception, which works on a very similar chiastic dream premise, though I suspect Nolan hasn't seen Sodom and Gomorrha. Sodom's other key identification is of the angel with Jesus. Most obviously, before the people of Sodom and Gomorrah try to kill the angel they tie him up, on the top of a hill, in a cruciform position, and ask him "Wenn Du ein Engel bist - Warum schützt Du Dich nicht?" (If you are an angel - why not save yourself?). There are a handful of other minor references applied both to the angel and to the "youth" from the Syrian section. The film's best visual moment is, as perhaps you might hope, Lot's wife (Lia) turning to a pillar of salt (see above). The biblical section of the film plays fairly loose with its source material. This is partly to align with the modern day story, so Lia is more wanton than ever the Bible suggests, in order to align her with the modern story's anti-heroine. The three leading female roles are all played by (Lucy Doraine). Similarly there is only one angel rather than two so that he can correspond more easily to the modern story's priest (similarly both roles played by Victor Varconi). Lastly Lot and Lia do not have daughters as they do in the biblical story, which, again, enables the film to align Lot's wife with the single woman of the modern story. The biblical account of Mrs Lot's demise always seems a little harsh. It's one of the places where the judgement of God seems particularly arbitrary and the story seems to be ped(a)lling extra hard to create an explanation. However, whilst here Lia doesn't exactly deserve death, she certainly is no less culpable than her fellow townspeople. In any case, she turns, there's a flash and she is turned instantly to a pillar of salt. The smoke masks the jump-cut, of course, but it's very deftly done and whilst Curtiz's greatest films don't really have a call for this kind of special effect, it demonstrates his ability to masterful execute a powerful visual sequence. It's made all the more effective by the delay between when the intertitle announces what is to happen and the event itself. Fully 3 minutes passes between the announcement of Lia's demise and it actually happening. As with many of Curtiz's films the sets are impressive - particularly one expressionist shot up a hill to a set of gallows late in the film which is so typical of the best of German films of the time. More typically though, it's the size and scale of the sets, that impresses as well as the scenes of their ultimate destruction. The scenes of crowds of extras fleeing their impending doom hint at what Curtiz would achieve in Robin Hood and in so many of his other swashbuckling films. Of course, such scenes were no longer novel by this point in the 1920s, but one or two moments, the water in Sodom plopping as sulphur begins to rain down, or the smoke billowing through an Astarte's temple, really stand out. The image quality when viewing the film on YouTube make it difficult to see the detail on the sets. One can only imagine how impressive it would be to see a proper print of the film, in good condition on the big screen. That said, these scenes, and the film in general, do rather drag and if the film's aim was to get an audience of flappers to reform their behaviour, it seems hard to believe many of them found the harsh, angry priest very appealing. 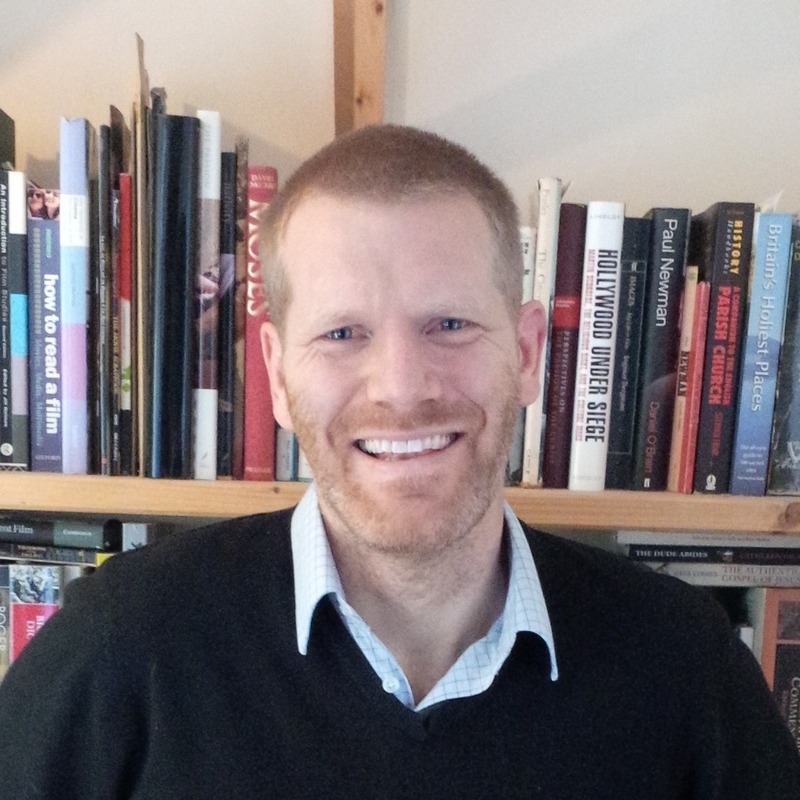 According to Shepherd, the film had spent quite some time in development (217). Given that Curtiz's sense of rhythm, pacing and plot are so perfect in Casablanca, which was still being written as it was being shot, perhaps the problem is that Curtiz had not yet learnt to trust his instincts. Sodom und Gomorrha is notable for the consistency of its structure, but we should be grateful that he would go on to create far better works. - Shepherd, David J. (2013), The Bible on Silent Film: Spectacle, Story and Scripture in the Early Cinema, Cambridge: Cambridge University Press. - Thomson, David (2002) The New Biographical Dictionary of Film, LONDON (Little Brown), Fourth Edition. Earlier in the year I was blogging the individual episodes of the NBC series A.D. - The Bible Continues (2015) or A.D. - Kingdom and Empire as it was known over here. For some reason, at the time I skipped over episode 9, so I've been meaning to return to fill in the gap ever since. The episode starts with Saul escaping from Damascus via a basket over the city walls. The city is in turmoil after Saul has preached at the synagogue. He returns, with Barnabas, to the believers in Jerusalem, who are understandably not that keen to welcome him with open arms. Simon the Zealot is particularly sceptical about the validity of Saul's conversion, but Peter and John are a little more accepting and Peter gives him the kind of one to one meeting that the biblical Paul seemed to find it difficult to realise. Meanwhile Gaius has become Caesar and the filmmakers are determined to make sure everyone knows he is a bit loopy. He gets one of his uncle's formerly loyal servants to kill himself to prove his loyalty, and when he announces his plan to erect a statue of his likeness to be placed in the temple, no-one bats an eyelid, even though they fear the worst. Even Gaius' best friend has his misgivings such that Pilate is able to encourage him to get Gaius out of the city. Before he leaves it's strongly implied that he forces himself upon one of the servants - Tabitha - who is comforted by Mary Magdalene. In a later scene we're also introduced to Joanna and her husband Chuza. Joanna is surprisingly upfront about her funding the church, despite her husband's notion that she is insane. And it's her forthright discussion with her husband - for which she credits Jesus giving her permission - that first leads Tabitha to ask "Who is this Jesus?". This seems somewhat out of keeping with Peter and Paul's advice to be submissive to husbands as a form of witness, but it does emphasise Jesus' radical (for his time) views regarding women. Meanwhile Caiaphas' wife has heard about Saul's conversion and is appalled by it, so she sets out to find a way to get him killed. Herod's wife on the other hand also sees an opportunity, thinking that Gaius' rise to power will mean that Antipas will be put it charge of the region instead. Caiaphas' men close in on Saul and arrest him. Meanwhile Simon goes seeking Zealots and ends up in a red pill/blue pill scenario (he chooses the red, obviously) whilst Paul kneels in Caiaphas' jail to recite the Lord's prayer. I can kind of see why I skipped this one in my earlier reviews. It's not a stand out episode, and there are few striking visuals, set-piece moments, dramatic turns, or portrayals of iconic moments in the story. Instead it's more of a solid piece of ground work for the final three episodes, setting the various plot devices in motion that will run through the rest of the series. I chose the image at the top because Barnabas' role is at its most interesting here. He's still learning to trust Paul here, and he's struggling to know quite how to control this maverick that Jesus has dumped on them to confuse all the disciples cosy ideas about what it means to be his followers. The crucial difference between him and the other is that, despite his misgivings he is convinced Saul's conversion is genuine. As a result, he spends most of the episode trying to broker agreement going between, Paul and the various disciples. A minor role in some way, but in other ways the kind of grappling with a faith that doesn't work out the way you thought it would, to which many will be able to relate. Sicilia! (1998) is one of only a few of Straub/Huillet's films from their Italian work to be available in the UK and their last work to gain significant critical attention before Danièle Huillet's death in 2006. 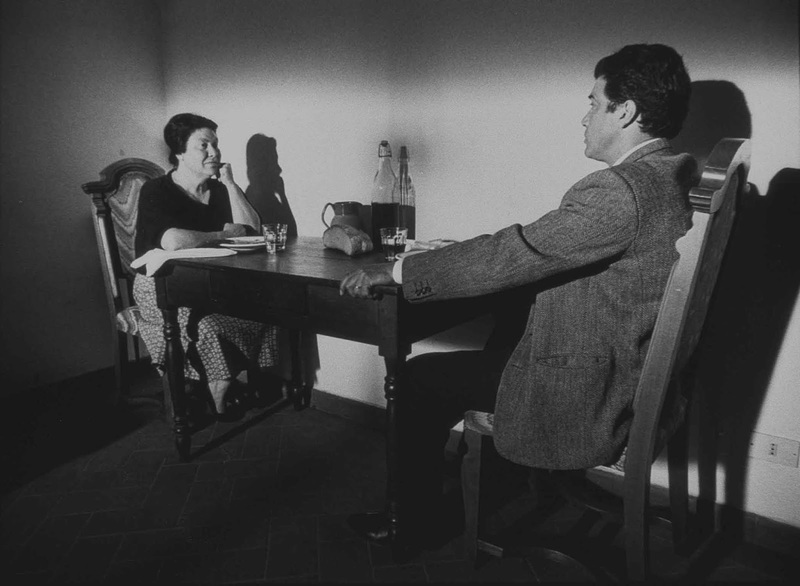 Based on Elio Vittorini's "Conversazione in Sicilia" ("Conversations in Sicily" it tells the story of a man returning to his home in Sicily after a fifteen year absence. The film opens with a close up of the man's back, his body forming a dark silhouette which immediately contrasts him with his surroundings, the bright sunny port where he has arrived. He engages in conversation with one of the locals about food, employment, family and some of the differences between Sicily and America, where the man has been living. Even for non-Italian speakers, it quickly becomes clear that the characters are not adopting natural speech patterns. This is a common trait in Huillet/Straub films as they seek to prioritise the words of the text they are adapting over the performances of the actors. It also puts a focus on the rhythm and cadence of the spoken words. The second scene takes place on a train as the man travels back to his mother's house. Again we see dark silhouettes obscuring a brighter scene, but this time it is two other characters, who are apparently policeman, holding a conversation in the corridor of train, looking out through the open window. The out-of-uniform policeman are complaining about how Sicilians defy law and order to such an extent that not only are they all potentially criminals regardless of their social class, but also that their families are so embarrassed by their chosen careers, that when asked they lie and invent different professions. The use of natural sound (again another critical Straub/Huillet trait) is particularly apparent here as the familiar clackety sound of the train on the rails gives the scene a natural rhythm. The action now cuts to inside one of the carriages, where several passengers engage in conversation. As if to prove the policemen's point a man gets up to shut the corridor window because of "the stink". He is referring to the policemen. All the other characters in the carriage know what is meant, except one. Whereas at the start of the scene, it was not immediately obvious which, if any, of the characters in this scene was the unnamed man from the start of the film, now it has become obvious: the man who doesn't understand the comments about "the stink" is the outsider from the start of the film (and whom the film is about) and now we have seen his face. As with many scenes in Huillet/Straub's films much of the scene is shot diagonally. The film's relatively unemotional delivery is most striking when the man finally returns home to be reunited with his mother, who he has not seen for so long that he is concerned she won't recognise him. The two talk at length - it's the film's longest scene - and in most other adaptions it would come with emotionally wrought acting and stirring, heartfelt music. Here however the filmmakers leave the emotions to the text, and to the viewer to supply their own feelings and sense of what is unfolding. In the final scene the man encounters a salesman who offers to sharpen his knife and proceeds to do so using a device powered by the salesperson's bicycle. As Tag Gallagher has pointed out, the use of the lowish camera angle and the choice of lens initially gives the impression that the two men are far away. However, as the knife is handed over the gap between them is bridged and we realise they are actually far closer. 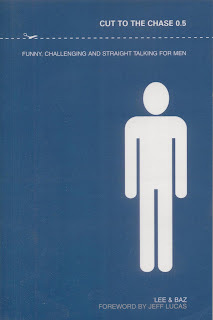 As the film was produced many years after Roud's book "Straub" and is not one of the German works examined by Barton Byg, there had not been a great deal of in-depth critical analysis on the film (at least in English) until the two works released in 2016, but it's nevertheless interesting seeing how many of the themes and techniques from their earlier films are carried through to this one. Despite not being, in any real sense, a Bible film, I have included it here as part of my work on Straub/Huillet and their 1973 adaptation of Schönberg's "Moses und Aron". According to the Bible, Jacob was the man who founded the nation that later adopted his pseudonym - Israel - for itself. Yet there has never been a major film made about. There have however been a number of relatively minor films about him from the Greed entry in Louis Feuillade's Seven Deadly Sins series, to Lux Vide's 1994 Bible Collection version starring Sean Bean as Esau. 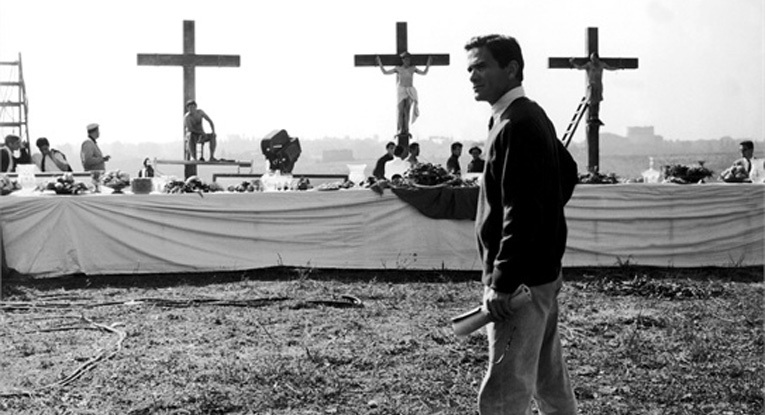 In between, Marcello Baldi and Mario Landi attempted the task in the early sixties, whilst The Greatest Heroes of the Bible incorporated the story into their sweep of the Hebrew Bible in 1979. 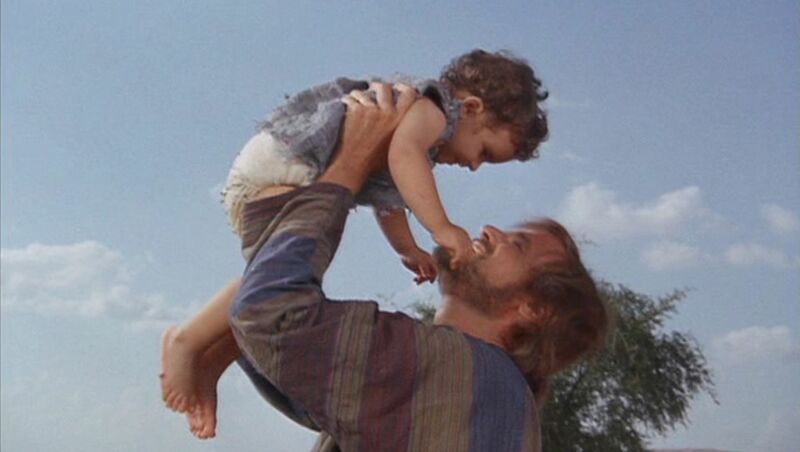 Arguably the most significant take on the story, therefore, is this made for TV special The Story of Jacob and Joseph (1974). 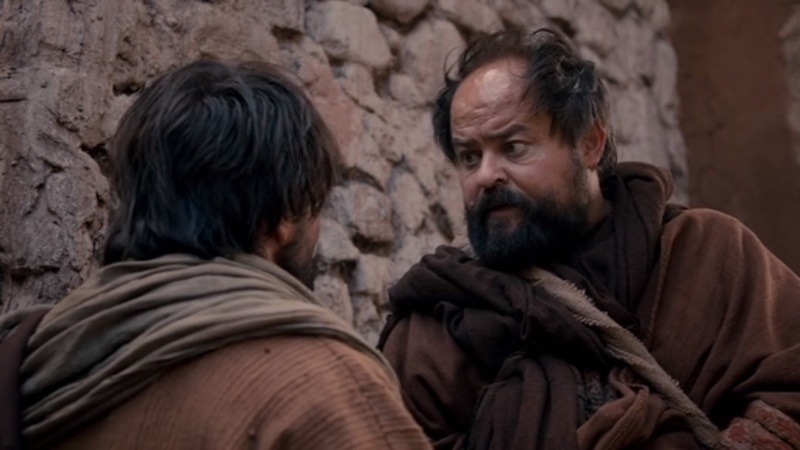 As the title might suggest, it's very much a film of two haves distinguished only from films such as Samson and Gideon, by the handful of scenes that the two lead actors (Keith Michell as Jacob and Tony Lo Bianco as Joseph) share together. All in all it's actually a fairly decent effort. With the barren desert landscape, some nice compositions and reasonably high production values it's a competently made film bearing a few of the hallmarks of classic 70s cinema and few, if any, significant weakpoints. Moreover, despite the text's tendency to let the story get bogged down in detail, Ernest Kinoy's script manages to keeps things ticking along. The film's strongest point is the way it manages to draw out the parallels in the script that might otherwise be lost on modern audiences. In particular, the numerous similarities in the story between father and son - both men are dreamers ,but also seek to deceive. Due to their mothers they are given preferential treatment leading to a rift with their brothers on the one hand, but material gain and prosperity on the other, and eventually forgiveness and reconciliation win out. Kinoy's script cuts out various aspects of the original stories without such obvious parallels, the incidents with Dinah and Tamar, for example as well as the story where Jacob wrestles with God and the time Joseph wastes rotting in jail whilst the fickle baker forgets his plight. But these elements are also highlighted by the way director Michael Cacoyannis (Zorba the Greek) shoots corresponding scenes. Of particular note in this respect are the shots comprising Jacob and Joseph's dreams (the other character's dreams are not depicted), with the muting of diegetic sounds and flickering light. Both sequences also carry the suggestion that the interpretation of the scenes is somewhat subjective. Jacob in particular claims "God was here. He spoke to me." but the source of this may well just be some children playing high above him (but out of sight). The dream sequences are also the film's most significant moments of scepticism towards the supernatural. 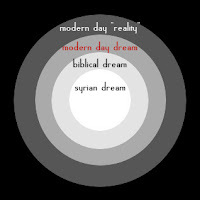 Dreaming aside, the stories of Jacob and Joseph are relatively free of God's direct action. There are no significant miracles or angelic appearances, only his apparent blessing on his chosen favourites. Jacob's comments are matched later when Joseph correctly interprets his cellmates' dreams. Whilst he initially acknowledges that "Interpretations come from God", but he also explains that he knew the three baskets of bread equated to three because he knew that the third day was "Pharaoh's birthday when all judgements are made". The film leaves open an array of possibilities. One other notable piece of pairing occurs, but this time between two women, Rebecca and Potiphar's wife. The film is largely shot using a static camera, but in two places it switches to shaky hand-held point of view footage which suggests the characters' anxiety and disorientation. Whilst Jacob and Joseph's dreams are necessarily subjective, it's interesting that the time the camera most clearly adopts a character's point of view it is in adopting a woman who loves one of the protagonists, but is ultimately left behind by them. No-one ever really asks what Rebecca's life was like once her favourite son was gone and she was left alone with her dying husband and brutish, resentful son. The film doesn't look to provide an answer to this, but these few early scenes do, briefly, direct a bit of light in that direction. In similar fashion, I find after watching it I'm left reflecting on the supposed greatness of Joseph's handling of the Egyptian drought. One of the film's most striking images is the long queues down one side of long but relatively narrow street. A seemingly imminent riot is only kept at bay by a meagre company of determined soldiers, their muscles straining to subdue and hold-back a starving crowd armed only with empty food baskets. Josephs rides down the road, surveying the starving mob but only seems to express any interest or concern when he spies his brothers. To me Pharaoh's application process for this job always seemed a little suspect, as does the way he somehow finds time to devote a considerable amount of effort, during a major national crisis, to devising overly-complex and somewhat sinister plots to test and punish his brothers. The argument has been made before that Joseph collected all the people's grain (Gen 41:46-49) and then basically used the famine to capture all their money and land and enslave both the Egyptians and those from the surrounding nations (Gen 47:13-21). 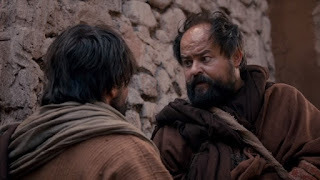 Both the film and the Bible present these situation, without specifically condemning Joseph, but the chaos on the streets contrasted with Joseph's blinkered focus on his brothers rather than the starving Egyptians is a somewhat unsympathetic portrayal. Whilst it's hardly an outstanding entry in the canon, The Story of Jacob and Joseph is a competent effort and perhaps its biggest strength is its effort to remain rational and relatively impartial. It may not have the glitz and spectacle of films such as The Ten Commandments, but it is also relatively free of their agendas and embellishments of the text. And by using filmic techniques to highlight the parallels in the stories it feels like a film made in the service of the text, rather than to pursue their own agendas. 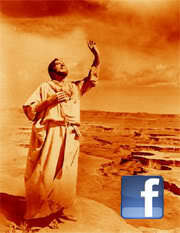 I think it's time film lovers revisited the Bible film. I understand their a bad reputation: too often they have suffered from being low-grade propaganda, artistically or morally deficient, or just plain dull. Furthermore, it's been compounded by the way that biblical films have come to be seen as synonymous with biblical epics. It's not hard to see how, as the dominant genre of 50s has fallen from grace, many have thrown the often pompous, overblown, baby out with the subtler, more nuanced, bathwater. But whilst epics form a significant part of the picture, it's important to realise that portrayals of the Bible on film are, in fact, far more wide ranging than the biblical epic. Perhaps the most persuasive argument for fans and students of film to take biblical adaptations more seriously is simply to look at the list of directors who have made one. So yes, of course, there's DeMille but there are also such directors as Roberto Rossellini, Jean Luc Godard, John Huston, Alice Guy, Pier Paolo Pasolini, Jean Marie Straub/ Danielle Huillet, Luis Buñuel, The Coen Brothers, Ermanno Olmi, Martin Scorsese, Philippe Garrel and Carl Dreyer. Add to that the numerous biblical films in which Orson Welles was involved, and an ultimately unrealised work on Genesis by Robert Bresson and that's quite a list. For a large part these directors and the team of filmmakers they represent worked outside the boundaries of the biblical epic. The subject was one for them to adopt, adapt, interpret, uphold or rally against. They are women and men of various approaches to faith, from the passionately devout, through to troubled agnostics and provocatively atheistic and they brought their artistic sensibilities with them. 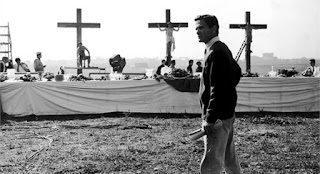 So looking at the films I have covered on this site over the years, in addition to the epics, there are also musicals (Jesus Christ Superstar, 1973), comedies (Monty Python's Life of Brian, 1979), neo-realism (Il vangelo secondo Matteo, 1964), horror (Jesus Christ, Vampire Hunter, 2001), surrealism (La Voie Lactée, 1969), materialism (Moses und Aron, 1973) and the avant garde (Lot in Sodom, 1933). Furthermore these films also touch on other more wide ranging 'movements' in cinema from silent film (of which I've discussed more than thirty here over the years), queer cinema (Salomé 1922) and pioneering animation (The Miracle Maker, 2000); as well as numerous films such as The Green Pastures (1936) and Golem, l'esprit de l'exil (1992) which quite simply defy classification. I should point out that I don't wish to dismiss the biblical epic. You can't run a site like this and not admire DeMille in full flow. I guess I'm just saying that if epics are not your aesthetic preference, then you're in good company because some of the cinema's greatest ever artists have rejected those same aesthetics. So let's celebrate their work, rather than dismiss it for being something it isn't.